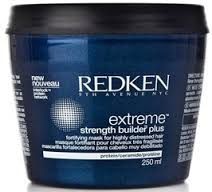 Hair is 96% stronger after 3 applications of Strength Builder Plus. Leave on 3-5 minutes. Rinse thoroughly. Daily of weekly intensive treatment.